« Bernard Matthews Turkey Drummers… Bootiful! Being into computers from a young age I always found it amusing when films tried to depict some amazing computer hacker doing something highly clever and probably illegal, but the stuff you see popping up on their computer screen is usually complete rubbish. Â One of my favourite examples is Speed 2: Cruise Control, where the computer expert has an old parallel port switch box which has been relabelled Laser Uplink Unit, or something equally meaningless but which sounds highly techy. I’m pleased to say that WarGames was nothing like that. Â It’s depiction of computer hacking was actually very very good indeed. Â Sure the plot of the film may be a bit unlikely, but pretty much everything computer related that was shown was plausible for the technology available at that time. The story follows young hacker David Lightman (Matthew Broderick) who is a clever but disillusioned student. 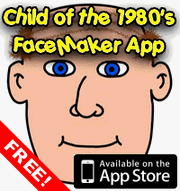 Â After showing off his hacking skills to school friend Jennifer Mack (Ally Sheedy) by logging in to the school computer system to change their school grades, David sets up his computer to dial into every phone number in the Sunnyvale, California area in incrementing order. Â He is trying to find the server for a new computer game he has seen advertised. During this process he stumbles across a computer system that appears to offer a menu of games from classics such as chess through to some more intriguing titles such as Global Thermonuclear War. Â The system invites him in, asking “Would you like to play a game?”, but all the games seem to be inaccessible and are password protected. One of the games on offer is entitled Falken’s Maze, so David looks into researching this name and discovers an artificial intelligence expert by the name of Stephen Falken. Â Falken had a son named Joshua, and it is this name which is the password David needs to access the games. WarGames is still a great film, and not just if you’re a computer geek! Â You may be surprised to hear that the film has even spawned a sequel, even if it is mostly in name. 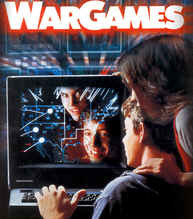 Â WarGames: The Dead Code was released straight to DVD in 2008, so I would guess that the original is still the best bet. Â Luckily you can get a double DVD pack containing both films, so if you’re curious about the sequel you won’t be completely wasting your money if it turns out to be a complete dog. This entry is filed under Films - Teens	and was posted on May 27th, 2009. You can follow any responses to this entry through the RSS 2.0 feed. You can leave a response, or trackback from your own site. I also loved this movie! This and Sneakers, which had the same production team (or was it writers?) are the only two films where hacking is portratyed relatively realistically (at least of the movies I’ve seen). It’s still a fun movie, especially of course for children of the eighties like us!! I’m surprised it doesn’t get shown on TV more often too be honest. It’s still a good film even in todays Internet era.